Italian artist studio fuse*, who recently launched two limited edition digital artwork collections on Sedition, present a new immersive solo exhibition in Washington DC. Everything in Existence, on show at Artechouse from 17 January to 10 March, is the first solo show by fuse* in the US and gives insight into how the studio’s work has evolved over the last decade. The work of fuse* connects art, science and technology, bringing together cross-disciplinary structures of meaning-making to produce insightful, engaging and visually striking new forms. Both through their design and their cross-disciplinarity these forms communicate multiple perspectives simultaneously. The work is constantly surprising and also philosophical - we are interconnected and part of dynamics far more powerful than we can comprehend. Everything in Existence presents four software-generated, multimedia installation works: Snowfall, Amygdala, Clepsydra and Multiverse. 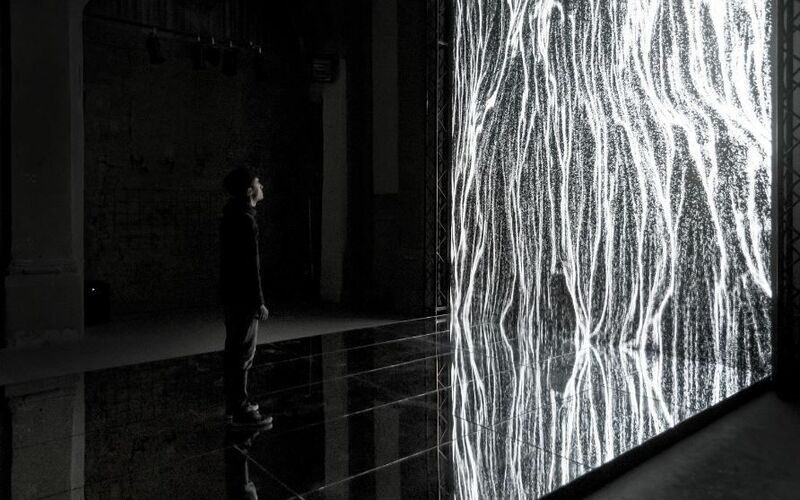 Each work is generated in real-time by algorithms which process different data inputs. Data input sources include sound, viewer interaction, interactions on social networks, and software’s interaction with itself. The installations are immersive, drawing audiences in to explore different perceptions, connections and perspectives (social, physical, graphical, algorithmic) within four different complex environments. Everything in Existence takes place from 17 January to 10 March at Artechouse, 1238 Maryland Ave SW, Washington, DC 20024, US.